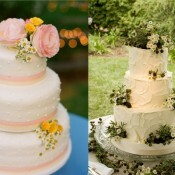 It’s officially summertime and that means it’s vacation season! 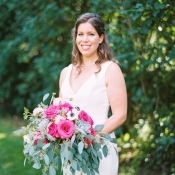 The Mr. and I have chosen to vacay away from most major cities and have instead retreated to the beach in Maine where we’re surrounded by lobster, blueberries, and tons of wildflowers. 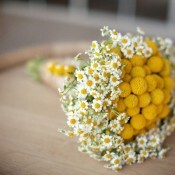 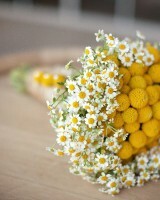 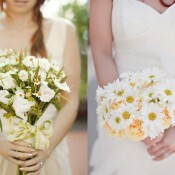 Among the wildflowers are tons and tons of happy daisies which are the inspiration for today’s Friday Flowers. 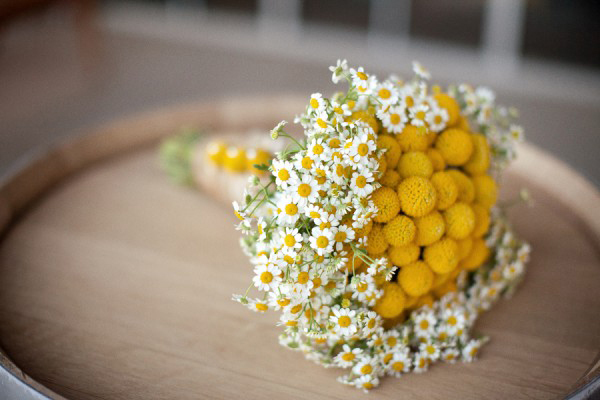 Whether we’re talking about mums, sweet and petite chamomile, or the straight up ones on the side of the road, there’s no happier and more carefree flower than a daisy! 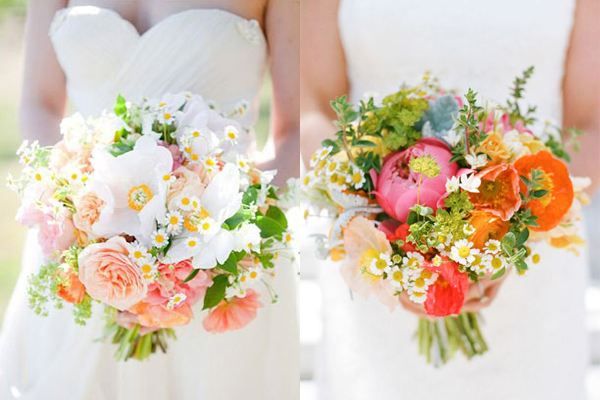 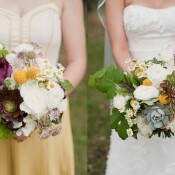 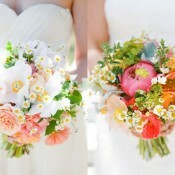 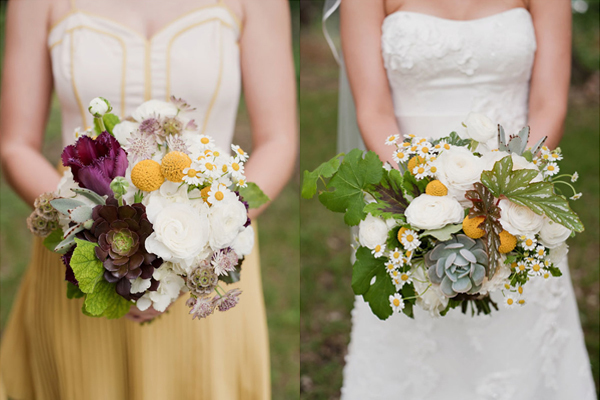 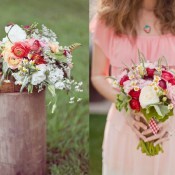 Check out these beautiful bouquets that use today’s featured flower. 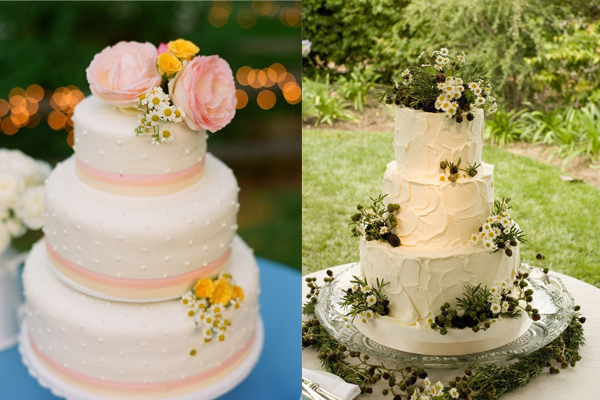 Check out the daisy love on these cakes! 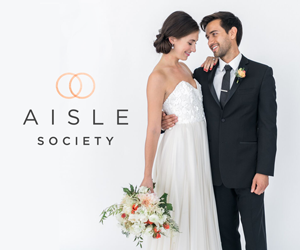 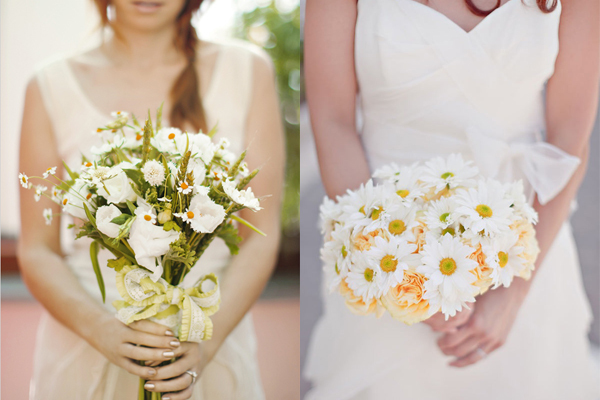 Are you using daisies in your wedding? 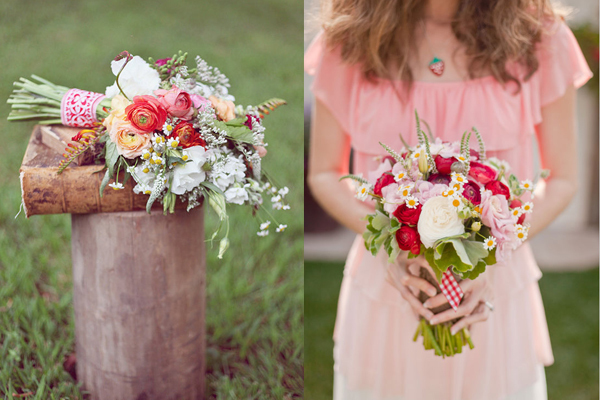 Are you taking a vacation somewhere filled with wildflowers?